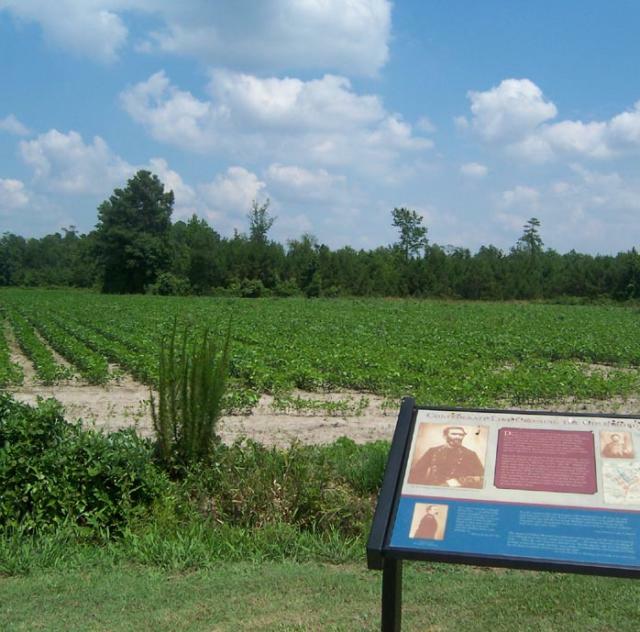 Follow the path of General Sherman as he marched from Bentonville to Goldsboro after the battle of March 1865. Begin the winding byway at I-95, Exit 90 on US 701 South, take left turn on Devils Racetrack Road. See page 120 in the pdf file.